Depending on where you live, there are countless garage door companies advertising their services and expertise online. Every garage door company will claim to have the best deal and the most experienced installers, but sadly many fail to follow through on their promises. It is time-consuming to sort through all the fly-by-night installers and find a company that you can count on. The first step in choosing a reliable garage door company is doing extensive research of their online reviews. You can search in Google for the company name and just add the word review after it. For example, “Perfect Solutions Garage Door reviews”. This will show you all of the online reviews that have been posted about our company. Make sure to pick a company that has a higher than 3.5 star rating and at least a few dozen positive reviews. Read a few articles on the company’s blog to see if they offer helpful and accurate information on garage door maintenance and security. You should also test their knowledge by asking questions that you already know what the correct answer should be. Do some preliminary research on benefits of different garage door materials or types of automatic openers and then ask the installer their opinion. If a garage door installer says aluminum is stronger than steel, please walk away or hang up the phone. They should know their products strengths and weakness, and base their recommendations on what will work best for you. Problems with your garage door can occur at any time. It can get stuck in the tracks and it is not safe to leave your garage door open overnight, especially if there are any valuables inside. 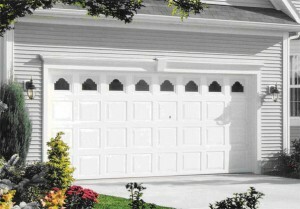 A reliable garage door company will offer their customers 24-hour emergency service. A legitimate and reliable garage door installer won’t charge a customer for a consultation. They are willing to access your needs for free because their goal is to build a long-term relationship. Be leery of any company that has unusual costs like a consultation fee. The most important tips for choosing a reliable garage door company is finding someone with positive online reviews, proven expertise, 24-hour emergency service, and free estimates. Perfect Solutions Garage Doors encourages homeowners to research our reputation and services before trusting in our capabilities. We have nothing to hide. Your garage should be more than just a convenient place to keep your car or an additional entranceway into your home. If you have a high-quality garage door with a secure garage door opening system, you can also use your garage to safely store countless valuables without worry. If your garage is currently easily accessible to intruders, Perfect Solutions Garage Door can help you update your garage to ensure that everything inside is properly protected before you turn it into a storage facility. Shelves are an easy and inexpensive way to keep your garage organized. Try to dedicate one entire wall to a shelving system, if it still leaves enough room for your vehicle. Shelves are great for organizing cleaners, motor oil, or gardening tools. You can place plastic baskets on the shelves to keep smaller items organized. 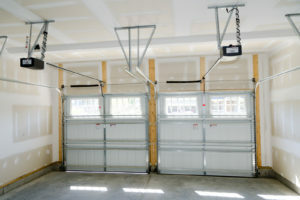 Purchase some form of racking system for the ceiling of your garage to utilize all of the available space. The overhead section of your garage is perfect for suspending sporting equipment like tennis rackets, baseball bats, and hockey sticks. It is also a great spot for things you only use seasonally like camping gear, the weed-whacker, and fishing poles. Add a simple two-door cabinet in your garage to keep all of your more expensive tools hidden and protected from the elements. If you have a tight budget, choose a cabinet made with an inexpensive wood or hard plastic. There are also some incredible steel cabinets and tool chests you can use, if you have room in your garage and the budget to afford it. It is a good idea to put a lock on the cabinet, unless you are completly confident in the security of your garage door system. Another great organizational tip for your garage is installing a pegboard to hang your small tools on. This will make them look neat and ensure they are easily accessible when you are using them inside of the garage. If you have an exceptionally large garage or a lot of stuff that needs organizing, you can always consult an organizational or home interior specialist for advice. The garage door specialists at Perfect Solutions can also provide some tips specific to your exact garage layout. A garage is an extension of your home, and you should be proud of its exterior and interior appearance. If you need help securing your garage door, or you are looking for more tips on how to maximize the space, please contact the team at Perfect Solutions Garage Doors. If you are having issues with your automatic garage door, it will be beneficial to prepare yourself for the questions you will be asked before you call the repair company. Most reputable garage door companies like Perfect Solutions will ask questions on the phone, so they can serve you more efficiently once they arrive at your house. Be leery of any garage door company that doesn’t ask the following questions during the initial phone conversation. There is a good chance they plan on dragging out the diagnostic process, so they can charge more in labor later on. Professional garage door technicians will ask the make and model of the garage door opener in advance, so they can bring the right tools and spare parts to fix that particular model. The team at Perfect Solutions Garage Doors will also conduct some preliminary research to see if there are any common problems with that particular make or model. It will be easier for the garage door technician to diagnosis the problem if they know what type of drive mechanism is being used, especially if it is an issue with the motor. 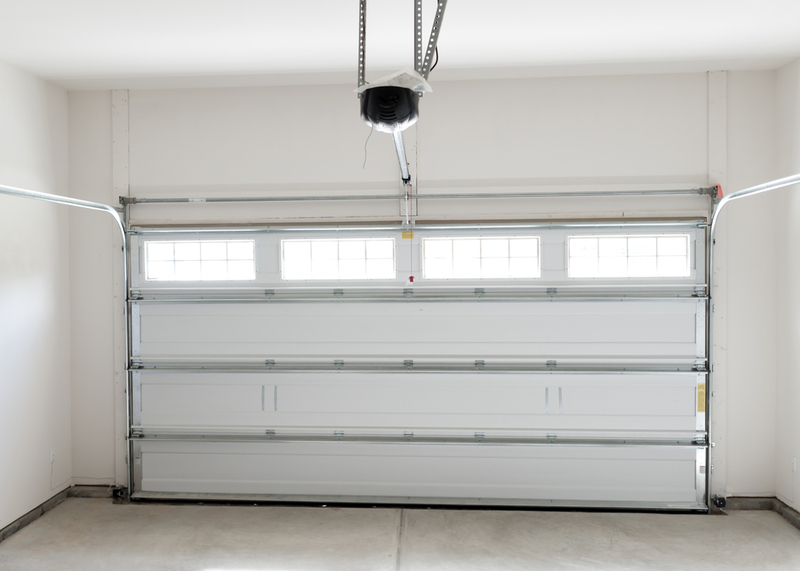 Your automatic garage door will either have a belt-drive, chain-drive, or screw-drive system. Your owner’s manual should specify the drive mechanism if you are unsure of it. Most garage door companies will ask how long you have had the garage door opener and how long the problem has been going on. Make sure you can clearly describe the reason you are calling, when it started, and any steps you’ve taken to try to fix it on your own. 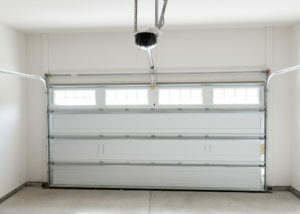 Take a few minutes to inspect the tracking, pulleys, springs, and chains before calling the garage door company. Try to figure out what may be causing the problem on your own before the repairman visits your house. Some less-than-trustworthy companies will take advantage of homeowners by exaggerating the cause of the problem, although you will never have to worry about that happening at Perfect Solutions Garage Door. Most garage door repairs will be easy and inexpensive if you use the right company. You can make it easier on the garage door company by knowing your garage door’s make, model, drive mechanism, history, symptoms, and possible cause of the problem. The experts at Perfect Solutions Garage Door are available if you have any questions or concerns. 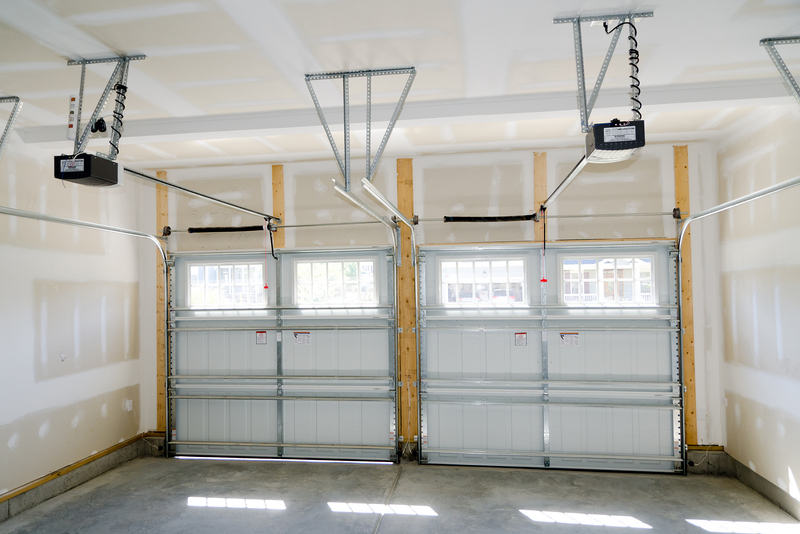 Why You Should Invest in a New Garage Door? 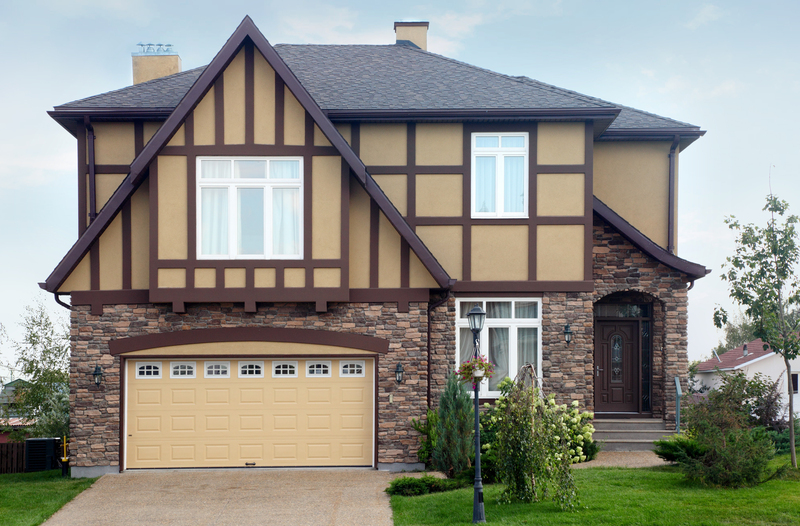 A new garage door is a great investment because it provides accessibility, curb appeal, security, and storage. Today’s automatic garage doors are also made with better technology and safety features. Many people are updating their garage doors because it is an inexpensive way to make their lives easier while improving the look of their home. Perfect Solutions Garage Door has helped countless people enhance their homes by installing a more convenient automatic garage door. Please feel free to contact us if you have any questions about why you should invest in a new automatic garage door for your home. 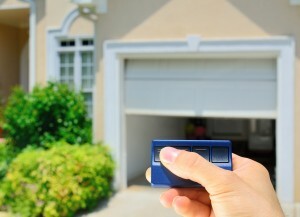 Garage door openers give homeowners a quick way to get in and out of their garage. You can even choose a convenient keyless entry system that hangs from your keychain so you don’t have to get out of your vehicle to open the door. 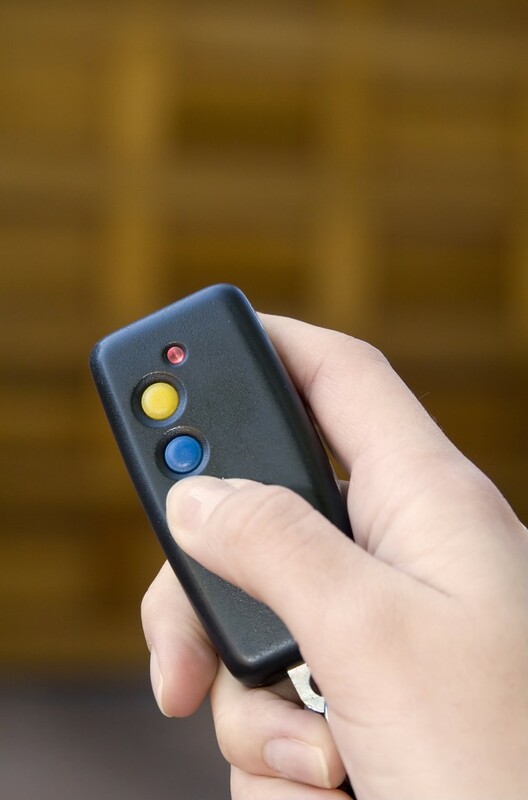 Today’s garage door openers use the most state-of-the-art technology to ensure that they always open on command. Garage doors are now available in a variety of great custom colors, materials, and designs. Perfect Solutions has an extensive selection and can even customize a door to match your home. If your current garage door does not complement your home’s exterior, then it is time to upgrade to a high-quality door that will increase its resale value. Garage doors are an alternate entryway into your home for unwanted intruders. Installing a new wood composite or steel garage door with a secure lock and state-of-the-art entry system will keep your property and home safe from break-ins. If your current garage door is not providing ample security, you are probably not using it to store any valuables. 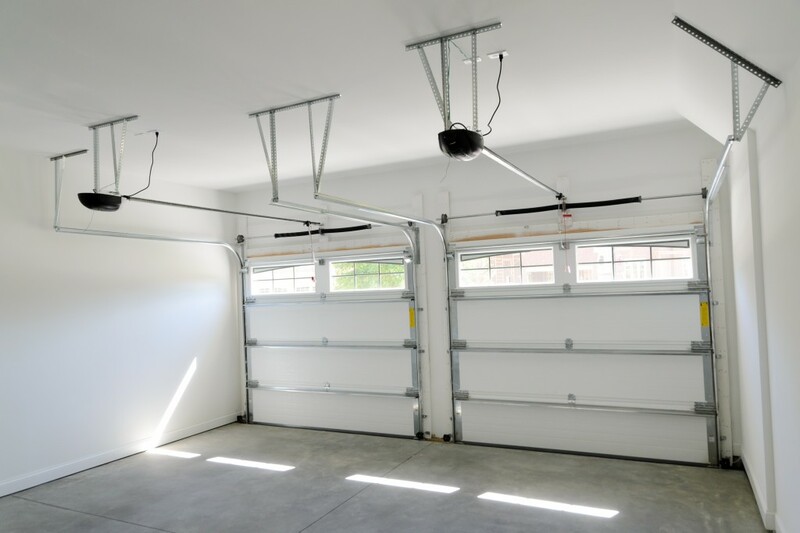 By updating your garage door to a stronger material and a more secure entry system, it will give you the peace of mind to store your car, tools, bicycles, and other valuable possessions in the garage where they belong. Automatic garage doors are now available with keyless entry and fingerprint recognition technology. They have new safety features like auto-reverse, which will stop the door from closing if it detects something (or someone) underneath it. If your automatic garage door is more than ten years old, it is time to replace it with a safer and more reliable version. Inexpensive home renovations can quickly improve the curb appeal of your home without draining your bank account. Installing a new garage door with an automatic opener is not only a great investment in the resale value of a home, but it will also pay for itself by providing the homeowner with greater accessibility, curb appeal, security, storage, and technology. Perfect Solutions can help you find the right door for your home if you live in any of our service areas: Auburn, El Dorado, Granite, Roseville, and Rocklin. If your garage door is not moving up the tracks properly or it won’t move at all, you might be able to fix it on your own. Most garage door repairs are fairly simple and won’t require calling a professional, especially if you are naturally handy. Perfect Solutions Garage Door can always help you out if you get stuck along the way. Check along the metal tracks for any bumps, dents, or debris. Remove all obstructions and try to adjust any part of the track that is not smooth. You may need a rubber mallet to pound out dents. If the metal tracks are badly damaged, they should probably be replaced by a professional. Make sure to also examine the mounting brackets that secure the tracks to your walls to see if any are loose. You might need to tighten bolts or screws along the mounting bracket. Once the tracks look good, you can try the garage door. The tracks may look clean enough, but they could have a sticky or slick substance on them that you missed in your inspection. You can clean the tracks using any household cleaner that is formulated to remove dirt and grease. Always finish by drying the tracks and rollers with a clean cloth. Check the metal tracks using a level to see if they are properly aligned. Vertical tracks should be completely level and horizontal tracks will slant slightly toward the back of the garage. If they are not level, you may need to use the mallet to tap them back into position. Be careful not to knock them further out of place. Double-check the mounting brackets and track alignment after you have adjusted them. If the tracks are still not level, you should probably contact Perfect Solutions Garage Doors for guidance before causing any further damage. Check the hinges, screws, and the plates where the springs are mounted to ensure they are all tight. 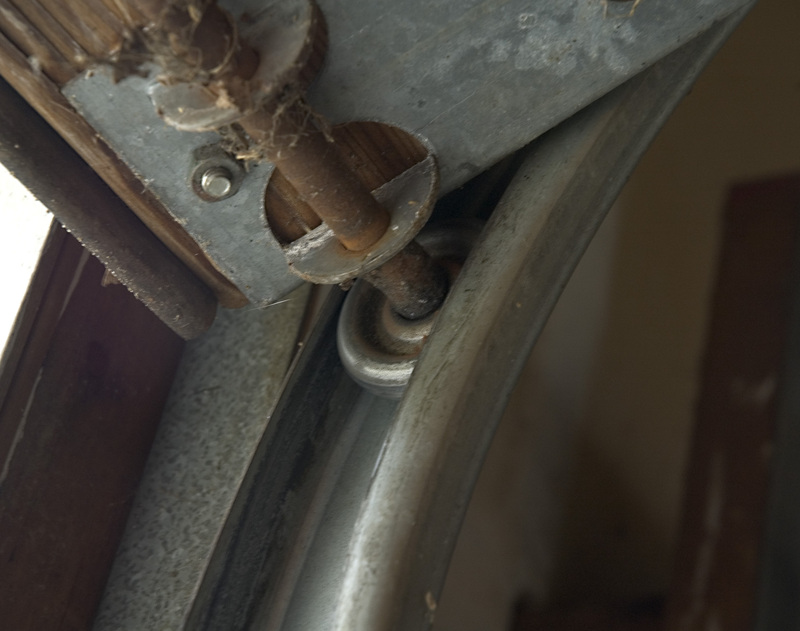 Be very careful adjusting the plates, especially if your garage door only has one torsion spring. The tension on those springs is so powerful that it could seriously injure you. If the issue with your garage door is a minor one concerning the tracks, you should be able to solve it without contacting a professional. If it is still not working after these four steps, please make sure to call an experience garage door installer. Perfect Solutions Garage Door is happy to help if you live in any of our five service areas: Auburn, El Dorado, Granite, Roseville, and Rocklin. Too many things can go wrong, and it is not worth risking that heavy garage door crashing down, especially when you consider what it could land on. A new garage door is a substantial investment in your home. It is also something that could have costly consequences if it is not done correctly. Perfect Solutions Garage Door has been called time after time because a fly-by-night, low-budget garage door installer has left a homeowner with an ugly mess and they need our expertise to fix it. You can save yourself the hassle and headache by choosing a reputable and experienced provider who stands by their work. You may be tempted by the bargain prices, but you will get what you pay for in the end. If you are still not convinced that a professional installer is worth the money, the trained installers at Perfect Solutions Garage Door have shared some of the reasons they have witnessed firsthand. Our garage door experts have been to the scene of too many garage door accidents in their career, and it is hard to actually pinpoint which one was the worst. They have witnessed cats, dogs, children, and adults with severe injuries caused by a door that came crashing down unexpectedly. Professional installers will make sure that never happens. The installers at Perfect Solutions Garage Door have extensive experience fixing and servicing garage doors that were not properly installed. Quite often, we are called after another installer has caused damage to the tracking or pulleys and the door will no longer open or close. Our garage door installers are often asked to finish projects or handle maintenance problems because the original company has gone out of business. Take the time to investigate the business’ history and track record in the Sacramento area before agreeing to any work. Unfortunately, the team at Perfect Solutions Garage Door has also found out about garage door companies taking customers’ deposits and then leaving Sacramento without even starting the job. Never trust a garage door company that doesn’t have an established location and solid reputation in the community. If you are willing to spend a little more money and deal with a company that has a proven track record of quality service, you will also get the added bonus of choosing exactly what you want. There are companies like Perfect Solutions Garage Door that will let you customize your garage door and security features. 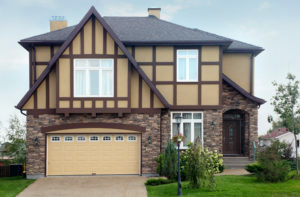 Those are five powerful reasons why you should never skimp on your garage door installation!